Outstanding maker of witty and elegant contructions and collages derived from found and used materials. David Moore's interest in the artwork of Islwyn Watkins dates from the early 1990s. As curator of Brecknock Museum and Art Gallery in Brecon he showed the artist's work on several occasions and at varying scales. Sadly, Islwyn died in late 2018. David would like to hear, for research purposes, from those who were involved in Islwyn's art-related activities or who might own his artwork. David's brochure, Islwyn Watkins: Constructions and Collages, first published in 2010 and updated in 2018 for Islwyn's eightieth birthday exhibition, is available from the on-line bookshop. Also in 2018 David wrote a book celebrating the Welsh Group's seventieth anniversary, a group which Islwyn had belonged to since 1959. This year he has written Islwyn's obituary for The Guardian. Click here for further information about Islwyn's life, artwork and relevant publications. Click here to purchase a copy of Islwyn Watkins: Constructions and Collages. Written to accompany the artist's 2018-19 exhibition, shown in both Stroud and Aberdare, this brochure explores a new body of work by the artist. Following a Creative Wales Award from the Arts Council of Wales in 2013 Sue has developed a strong interest in drawing from life and landscape as well as in working with silver. A particular source of inspiration has been a close study of tree forms in Priory Groves, Brecon, and Wistman's Wood, Dartmoor. This has led to a series of expressive drawings and related woven sculpture in paper yarn and silver wire. Click here for a link to Sue's website. 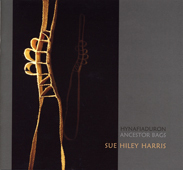 Click here to purchase a copy of Sue Hiley Harris: Woven and Drawn. Click here for further details of the exhibition and publication. David Moore is researching and writing a comprehensive illustrated book exploring the life and work of artist Ray Howard-Jones (1903 - 1996). She was commissioned by the War Artists Advisory Committee to record military installations in the Bristol Channel during the Second World War and is particularly celebrated for her evocative paintings of the Pembrokeshire coast. Click here for further details of the project. 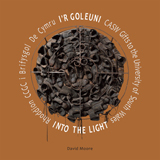 Crooked Window has been commissioned by the Contemporary Art Society for Wales to produce a publication, Into the Light: CASW Gifts to the University of South Wales, to coincide with the Society's eightieth anniversary in 2017 and highlighting its gifts to the art collection of the University. This accompanied an exhibition in Oriel y Bont at the University's campus in Treforest from October 2017 to May 2018. Crooked Window collaborated with the National Library of Wales to curate an exhibition exploring sixty years of 56 Group Wales, one of the longest established exhibiting groups of professional artists in Wales. It comprised a selection from the Group's extensive archive, recently donated to the Library, complemented by artworks mainly from the Library's collection. The '56 Group' was founded in 1956 by Cardiff College of Art lecturers Eric Malthouse and David Tinker with artist and architect Michael Edmonds. While the Group was strongly influenced by international movements in art, notably abstraction, in practice the work was more diverse. It became a powerful exhibiting force and showed widely in Wales and England. From 1967 it adopted the name '56 Group Wales', took the first of many prestigious exhibitions to the Continent and doubled in size. Its activity, success in obtaining support from public bodies and perceived enthraldom to Anglo-American values, however, ensured that its presence in Wales was not universally appreciated. It has, nevertheless, played a significant role in stimulating discussion about contemporary art and in raising the profile of the professional artist in Wales. Despite fluctuating fortunes, critical responses and changes in its character the Group flourishes today. 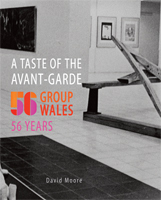 Click here for details about a concise history of the group, A Taste of the Avant-Garde: 56 Group Wales, 56 Years, which was published by Crooked Window in 2012. 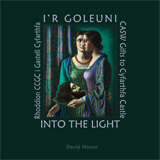 David Moore was commissioned by the Contemporary Art Society for Wales to curate an exhibition in 2015, Into the Light: CASW Gifts to Cyfarthfa Castle, and to write an accompanying colour-illustrated catalogue. This explores thirty-eight artworks gifted to Cyfarthfa Castle Museum and Art Gallery, Merthyr Tydfil, since 1947. Each work is discussed and placed in context and an introductory essay reveals how the works were acquired and transferred to the Museum. Sue Hiley Harris designed the publication and co-ordinated the graphics and publicity material for the exhibition. 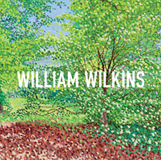 David Moore contributed a biographical essay about this Welsh artist, a former member of the 56 Group Wales who paints in a pointillist style, to this book by David Fraser Jenkins which was published by Graffeg in 2014. 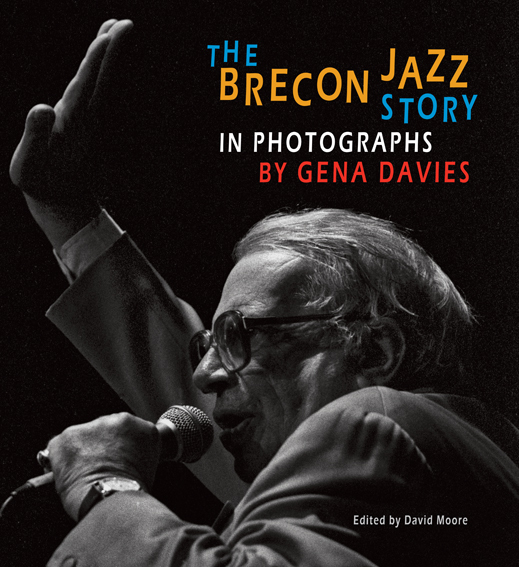 To coincide with the thirtieth Brecon Jazz, Crooked Window published The Brecon Jazz Story in Photographs by Gena Davies. It reveals, through a local photographer's eyes, the changing character of the high-profile festival since its beginning in 1984. It captures internationally renowned musicians as well as the festival's much-loved carnival atmosphere. The project was supported by the Brecknock Art Trust and the Brecknock Society and Museum Friends. Price £15.00. Now reduced to £7.50. Click here for further details and some sample pages of the book. Crooked Window researched, wrote, designed and published the first book to explore the development, from 1956 to the present, of one of the most prominent groups of professional artists in Wales. Fully illustrated, it considers the members and exhibitions, as well as the Group's organisation and reception, both public and critical. Price £16.00. Now reduced to £10.00. 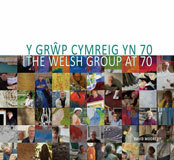 Click here for further details and some sample pages of the book and a list of members of 56 Group Wales over 56 years. Crooked Window organised an annual art fair between 2011 and 2014 for members and friends of Brecon & District Mind, a mental health support charity, in St Mary's Church, Brecon. The art fairs attracted much interest and were notable for showing work by members alongside that of professional artists. David Moore was commissioned to undertake this survey aimed at gathering information useful for determining policy decisions by the Contemporary Art Society for Wales and the People's Collection Wales. A wide range of museums and galleries around Wales were contacted and a report was written in 2012. The survey was funded by the Welsh Government through CyMAL: Museums Archives and Libraries Wales. Crooked Window produced an exhibition to promote interest in Start in the Park, a project designed to stimulate creative responses to the landscape of the Brecon Beacons National Park by members of the mental health support charity Brecon & District Contact Association. The exhibition was held in St Mary's Church, Brecon during Brecon Arts Festival, October 2011. The Project was supported by Brecon Beacons Trust, Brecon Beacons Sustainable Development Fund and Brecknock Art Trust. Crooked Window curated the Contemporary Art Society for Wales 2011 distribution exhibition at MOMA Wales, Machynlleth, in 2011. Works were located, assessed, and arrangements made for photography, framing and transport. Bilingual catalogue and graphic panels were researched, written, translated into Welsh by arrangement, and designed to print-ready format. 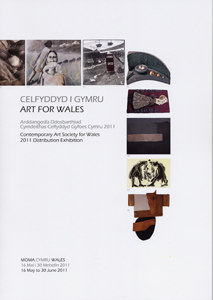 The exhibition was supported by CASW, MOMA Wales, Arts Council of Wales, The Gibbs Trust and The Morel Trust. Crooked Window wrote, designed and produced a bilingual (Welsh/English) colour catalogue to coincide with Sue's Ancestor Bags exhibition at MOMA Wales, Machynlleth, in 2009. The exhibition was shown at Bankfield Museum, Halifax, in 2011. The project was supported by the Arts Council of Wales and the Usk Valley Trust.